I never really knew what Halloween was all about. I am only 3 years old, after all. This year, however, has been a little different. I walk around the shops and see these colourful decorations dominating the aisles and I can't help being intrigued. Witches and cats, pumpkins and ghosts, I'm beginning to quite like Halloween ... as long as the witches aren't too mean looking and the pumpkins aren't too haunting!! 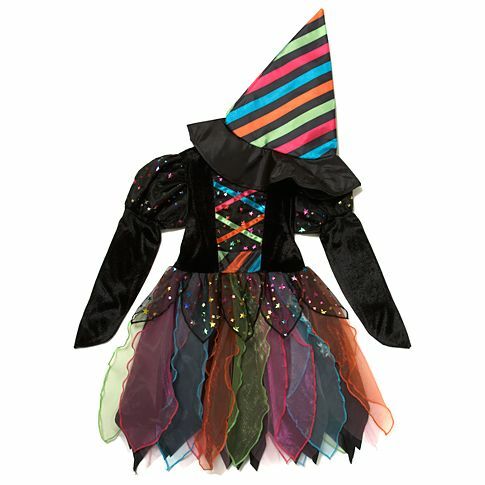 The Rainbow Witch Halloween Costume is available from the Girls' Halloween Costume section of the website and costs just £10. Mummy was really pleased with the quality of the outfit and thought it was outstanding value for money! 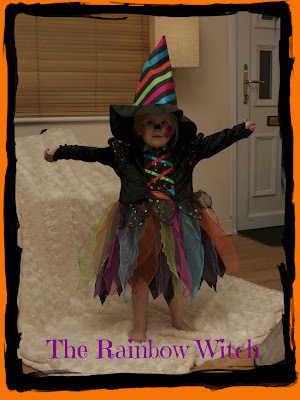 Once upon a time there was a little 'Rainbow Witch' called Rose who lived all by herself. She wasn't like a normal witch. This witch didn't like nasty spells or bubbling, smelly potions. Instead, she liked flowers, cute animals and, of course, rainbows. 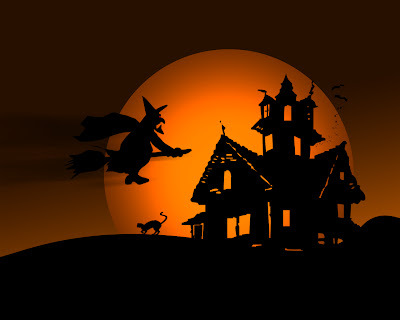 But every year, Halloween would come around and everything would look different. Pumpkins grew scary faces, black cats would cry out in the middle of the night, and trees seemed to take on frightening shapes. 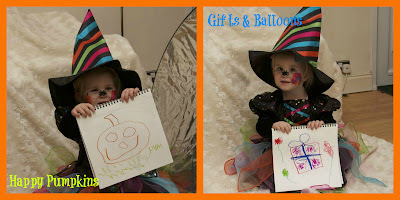 Rose decided she would change the way Halloween looked in her home forever! 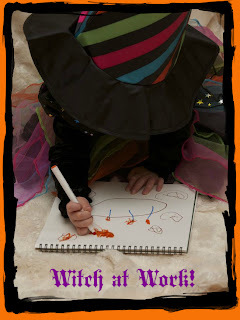 So she took out her Spooky Scribblers and her Beastly Book and started to draw. She drew things that would make people smile and decided that these would be the things that would decorate her house this Halloween! 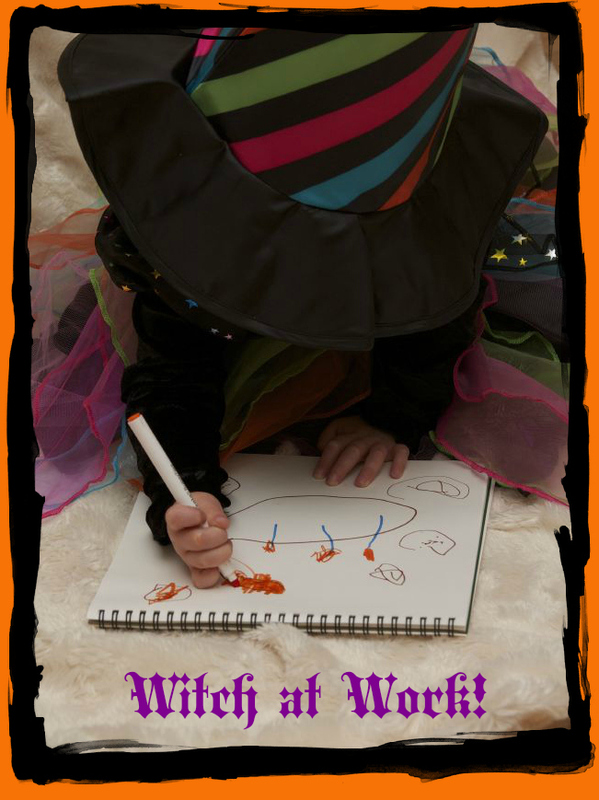 Instead of vampire bats and angry faces, she would draw pretty flowers and happy pumpkins. Instead of bubbling, smelly cauldrons she would draw sweets, cakes and candy canes! From this day forward, The Little Rainbow Witch was known for making Halloween bright and colourful, with all the colours of the rainbow decorating her house. 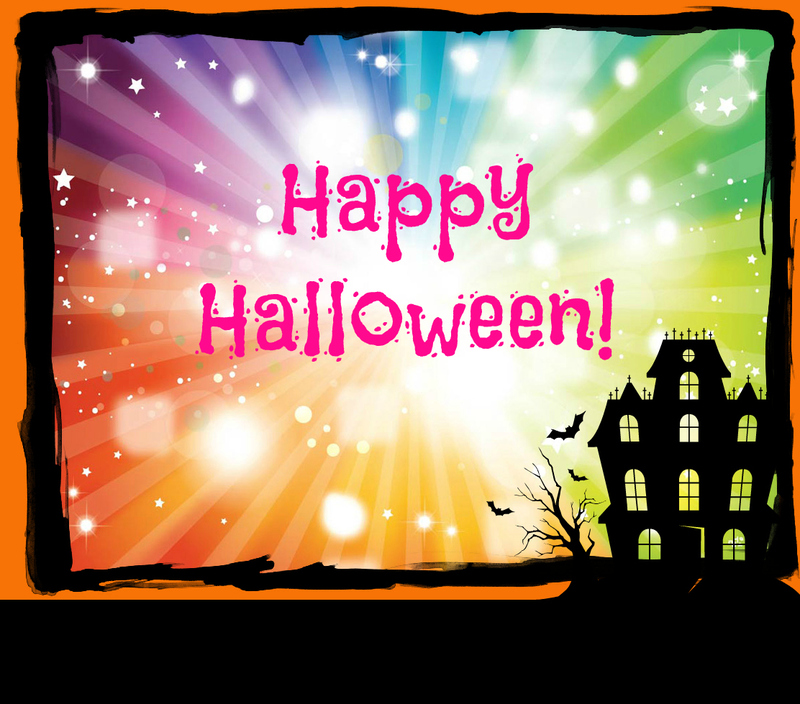 She could now look around her every year at Halloween and know that this time of year doesn't need to be dark, spooky or haunting, but can instead be bright, magical and full of the colours of the rainbow! And everyone she passed by would smile, and instantly feel a little bit of sunshine in their day that wasn't there before! Make sure you keep an eye out for The Rainbow Witch this Halloween! She's always there to make the day a little prettier for you!! Remember, this was Munchkin's story. 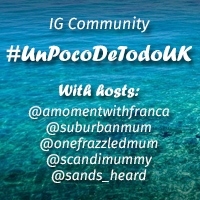 Mummy has merely 'translated' it into a more reader friendly version! All 'Proof Read' and approved by Munchkin! Disclaimer: We were provided with the costume and stationary for this post by George at Asda and have been offered a store voucher as way of 'payment' for our time and work. All writing is 100% our own. Ha Ha, fab little read and gorgeous pictures too. 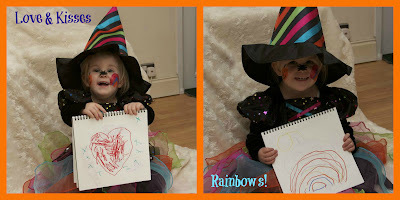 The Rainbow Witch looks like she has been having fun! Awww love this, what a geat story, think we might have to bring the Rainbow Witch's Halloween into our house too in future! She looks so cute in that outfit! what a lovely story from such a cute Rainbow Witch!!! what a great costume and drawings are just brilliant! Love munchkins story, very clever and what an adorable witch! Aww what an imagination, loved it lil cutie! very cute story, love the costume too! She has a wonderful imagination (as I know well!) and is clearly enjoying herself. 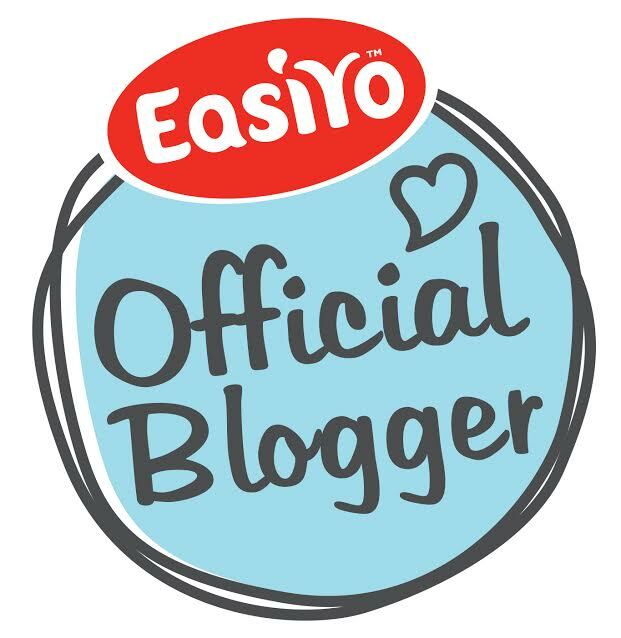 Mummy had better watch out - she will be writing her own blog soon, without any help!! 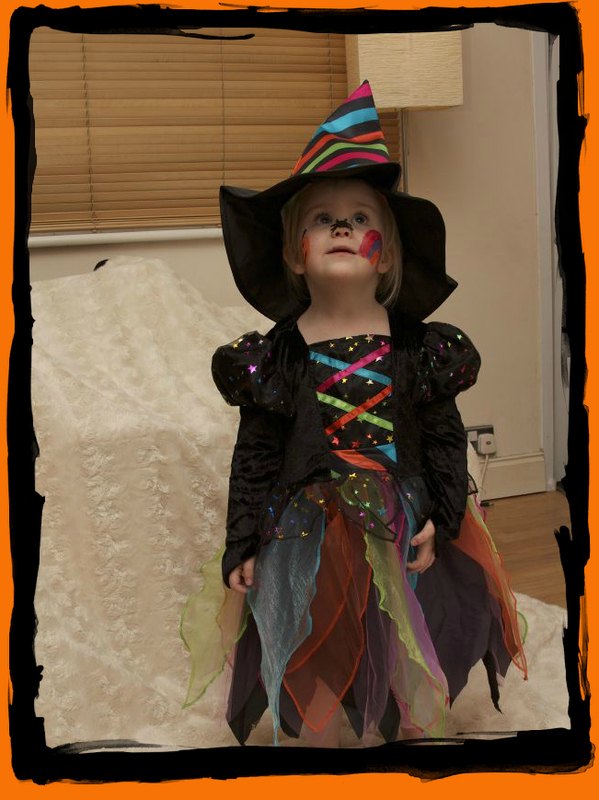 She is the most adorable witch I have ever seen in that beautiful costume. Love the face painting!! This is a lovely story. 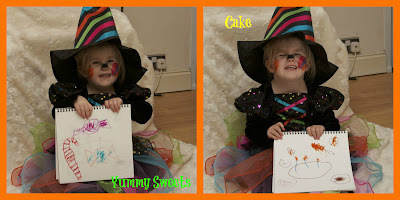 We got costumes from Asda this year too and love the quality. Her pictures are very clever! A budding author AND artist? The girl will go far. Love the outfit and make up too!